Live shows of classic tales set in the Wizarding World featuring puppetry fabricated by Emmy-award-winning designer Michael Curry. 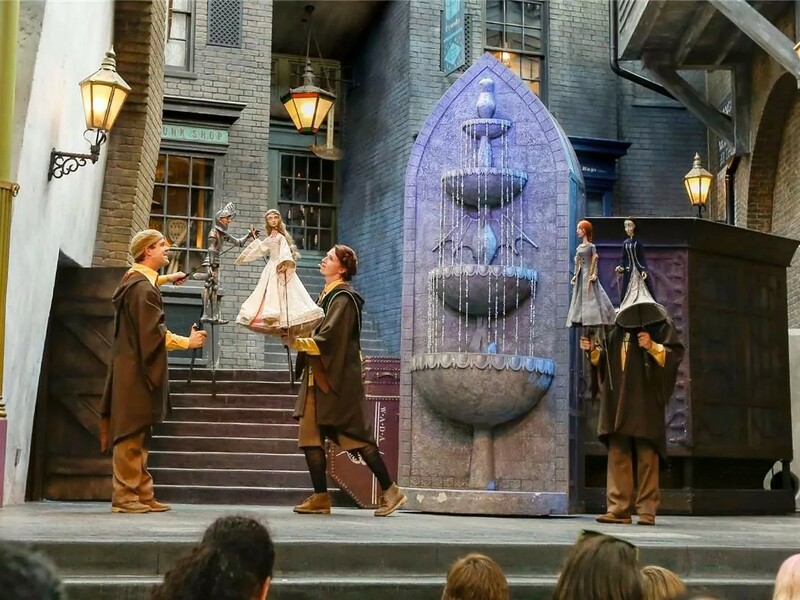 This stage show features a troupe of four from the Wizarding Academy of Dramatic Arts who have set up to perform a trunk show using stylized scenic pieces, props and puppetry fabricated by Emmy-award-winning designer Michael Curry. The performers retell two of the famed tales of Beedle the Bard, a 15th-century author of wizarding fairytales, including "The Fountain of Fair Fortune" and "The Tale of the Three Brothers." 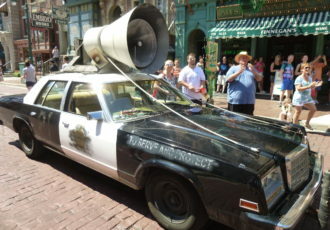 The story to be told is selected "randomly" at start of the show. If you see two shows in a row you should be guaranteed to see both stories. The puppets themselves can be somewhat creepy looking. 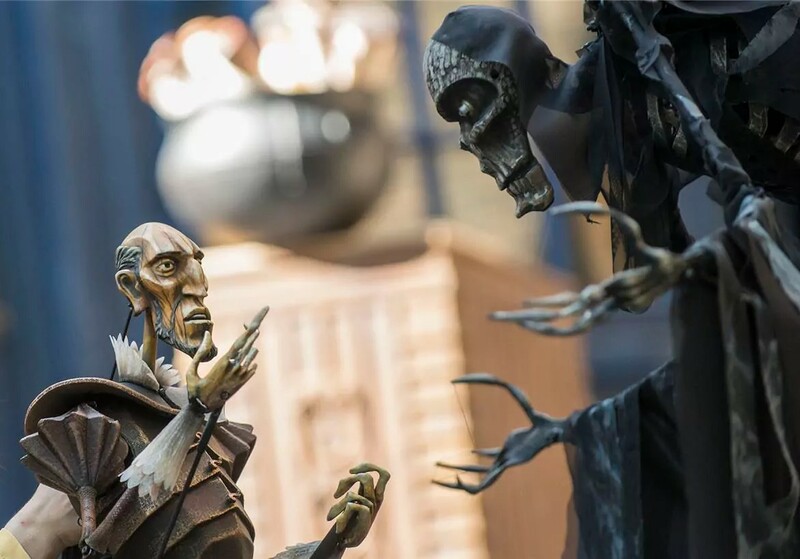 Children that remember the story told in animation within the film, Harry Potter and the Deathly Hallows Part One, entitled "The Three Brothers" will be familiar with the dark style of these characters, but younger kids may be startled by the skeleton faces of the creepy puppets. The puppets and props for this show have been created byEmmy-award-winning designer Michael Curry, famous for work on Broadway's The Lion King, Finding Nemo-The Musical, and much more.